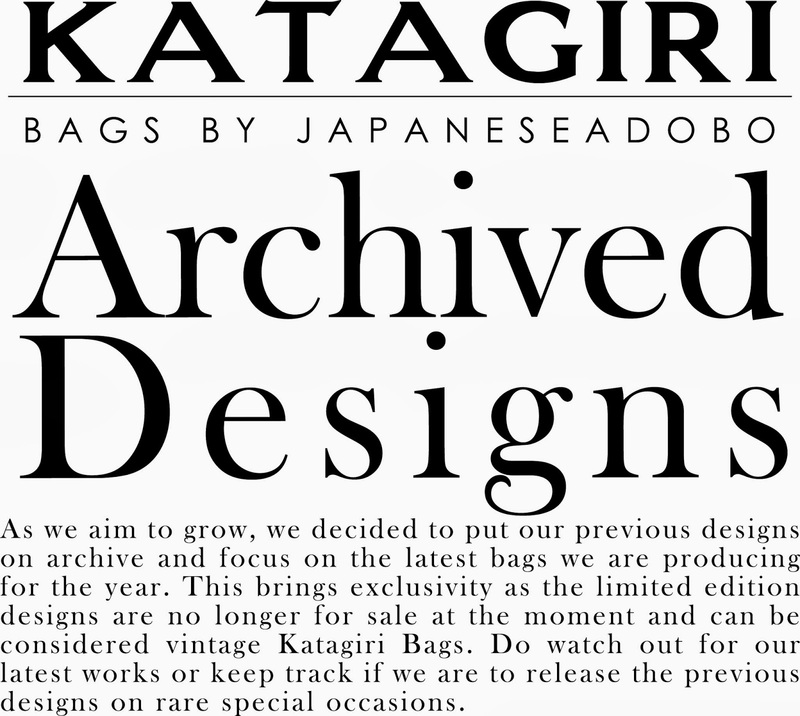 All bags featured in this site are on archive. Watch out for the next limited edition bags we'll be releasing this year. The first ever design made under the Katagiri line of bags made of structured espadrille cotton canvas with genuine cowhide leather trimmings. One of the best sellers and remained to be the most patronized designs. Available in three (3) sizes: small, medium and large. The Small version is perfect for the ladies who like carrying their essentials together with their iPad or notepad since the bag has its own tablet sleeve, compartment and pockets inside and on the back. The Medium size is made for an everyday corporate bag that can be used both by men and women. The Large corporate bag is perfect for those who likes carrying big bags. It can transcend from an office bag to a gym or overnight type of bag. The design comes with a detachable cotton strap, laptop sleeve, pockets and compartments inside and on the back. The Katagiri Doctor’s Bag is created for the ladies who like to carry a lot of things in their purse but still gives an illusion of carrying a small bag. The genuine leather handles are adjustable to 3 drop handle sizes. Structured with clean finish, the bag is perfect for an everyday purse for the office, school or business. A bag perfect for those who are always on-the-go, the Katagiri Messenger bag is the perfect fit for an everyday stylish ensemble. Unstructured finish with many compartments and iPad sleeve inside. The cotton strap is detachable with magnetic snap for enclosure. The Katagiri Sling Bag is created to fit an iPad and other everyday stuff, without having to bring big bags. Perfect to use going to the mall, hanging out at a café or just simply going to work. A smaller size that can still fit a lot. The bag has an iPad sleeve, pockets and compartments inside and on the back. Totes and laptop/messenger bags created on a limited quantity with the Katagiri design aesthetics. An explosion of color and elegance, one can be sure to turn heads when sporting a piece. Functionality and Fashion in mind, it is the most practical yet stylish bag you can own. The Katagiri Square Bag gives a structure finish at its full function. A type of bag that keeps your stuff organized with its square finish. Perfect to fit a medium laptop with its sleeve inside, the bag comes with a detachable cotton strap, pockets and compartments inside, on the back and in front.